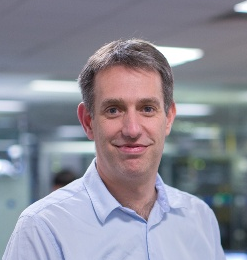 Daniel Rueckert joined the Department of Computing as a lecturer in 1999 and became senior lecturer in 2003. Since 2005 he is Professor of Visual Information Processing and heads the Biomedical Image Analysis group. He received a Diploma in Computer Science (equiv to M.Sc.) from the Technical University Berlin and a Ph.D. in Computer Science from Imperial College London. Before moving to Imperial College, he has worked as a post-doctoral research fellow in the Division of Radiological Sciences and Medical Engineering, King’s College London where he has worked on the development of non-rigid registration algorithms for the compensation of tissue motion and deformation. The developed registration techniques have been successfully used for the non-rigid registration of various anatomical structures, including in the breast, liver, heart and brain and are currently commercialized by IXICO, an Imperial College spin-out company. During his doctoral and post-doctoral research he has published more than 300 journal and conference articles. Professor Rueckert is an associate editor of IEEE Transactions on Medical Imaging, a member of the editorial board of Medical Image Analysis, Image & Vision Computing and a referee for a number of international medical imaging journals and conferences. He has served as a member of organising and programme committees at numerous conferences, e.g. he has been General Co-chair of MMBIA 2006 and FIMH 2013 as well as Programme Co-Chair of MICCAI 2009, ISBI 2012 and WBIR 2012.